3 Days of Professional Development & Inspiration! This year we are adding more S.T.E.A.M. to our workshops at the summer Teacher Art Retreat. Science, Technology, Engineering and Math have always played some part in what we have done in our arts integrated workshops in the past, but this year, it’s a focus! I can't believe this will be our 7th summer Teacher Art Retreat! Click for a Message from Elizabeth..."
7 years… that’s nothing to baulk at! For the past 6 summers teachers have been coming to these retreats to Get Inspired, so that they can BE Inspiring to their students. It is for us, by us. That means, it’s Teacher-Centered, the BEST kind of professional development you can find! “The purpose of the retreat is experiential. We teachers most often do not have the opportunity to experience first-hand the activities that we ask students to complete. 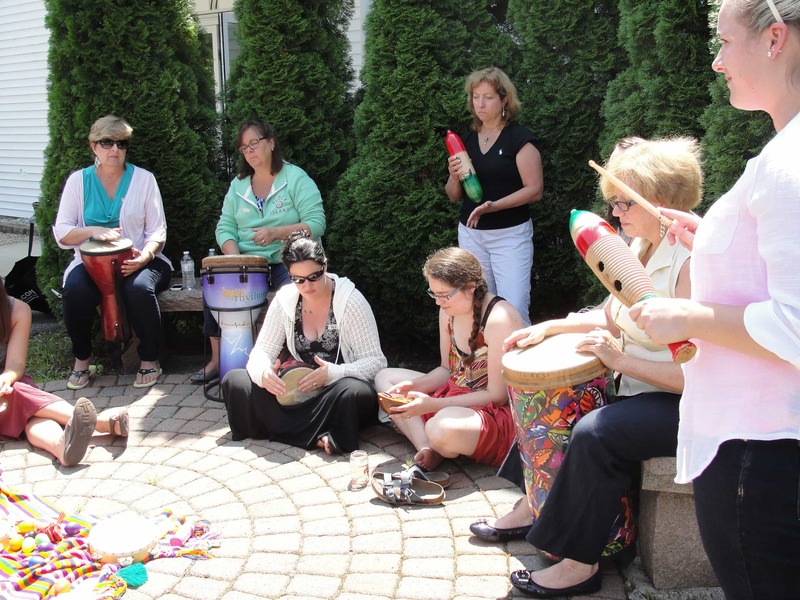 By immersing ourselves in the arts integration activities for hours, we will be better-equipped to remember, deliver, and connect with the lessons that we create for our students. This is common sense!” ~Jen D.
Over the years we have had all kinds of educators in all facets, levels and years of experience. 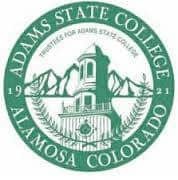 New teachers find great ideas, veteran teachers revitalize their curriculum, retired educators come for the overall retreat-feel, administrators are eager to share with their staff and educators outside of the classroom enjoy the creative atmosphere and common love of learning! So, what are we waiting for? Let’s get you signed up! Don’t forget to check out our Facebook “Teacher Retreaters'” group page where past, present and future retreaters are chatting about ideas and sharing inspiration with one another. Once you join, you can feel free to read through comments, like a post, and even add your own ideas and thoughts. Harness the Power of Moviemaking & Digital Storytelling in Your Creative Classroom! 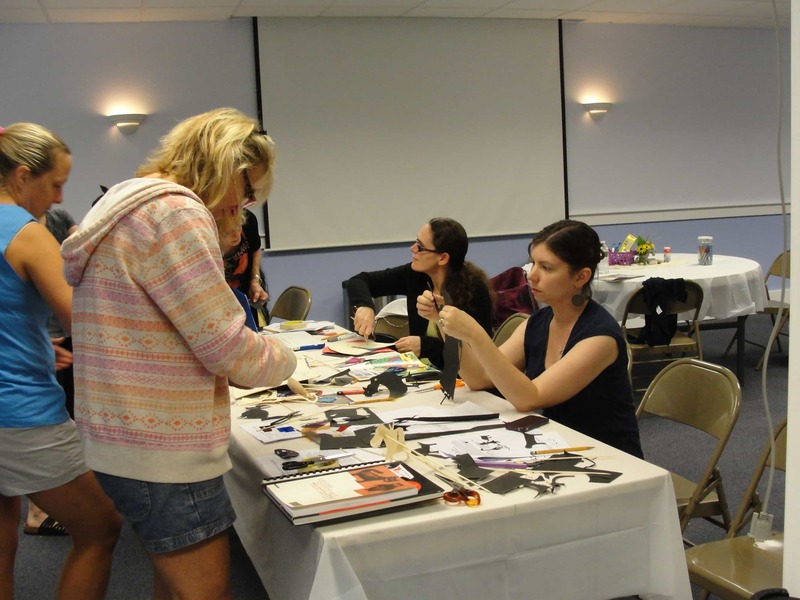 This fun, interactive workshop introduces retreaters to stop motion moviemaking. Participants will learn to create multi-scene movies with transitions, titles, credits, sound effects, and narration. Using the Stop Motion Studio and iMovie apps, participants will create a movie that reflects their views on a specific topic, theme or idea. The workshop will also explore the ways in which moviemaking can be used as a framework for a range of curricular needs and encourage active learning. iPads will be available to use, but you may bring your own as well. This workshop will span the three mornings of the retreat. 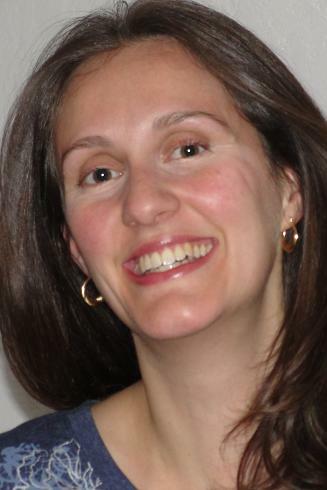 [URIS id=5972] Jodi’s experience in STEAM education and leadership spans over 20 years. She began her career as a technology teacher at Central Catholic High School in Lawrence before advancing to her current leadership role as Director of Technology and Lead Administrator for Technology Integration. She has held this position for the past 14 years while simultaneously serving as the Business and Technology Department Chair. 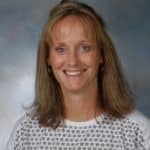 Jodi has a passion for working with educators and facilitates professional learning opportunities for teachers and administrators designed to enrich the delivery of instruction and student learning. Retreaters will each make their own pinch pot monster out of clay, bake and paint them, using color to represent our inner turmoil and emotions, and finally, write a poem about them. We will begin with pinch pots, and then learn how to add details, features and/or accessories. 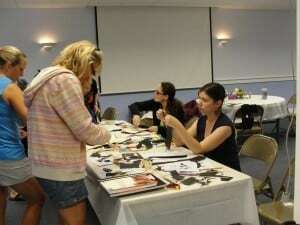 Retreaters will leave with an “art therapy” lesson and an arts integrated poetry/visual arts lesson. Each person will have a finished clay monster to represent their character defects (as represented by color), and they will have written a poem to go along with it. This workshop will be conducted over two days so that we can bake the clay and allow time for it to cool. [URIS id=5885] Nicole Laponius is a local elementary art teacher and art therapist. She is a portrait artist, muralist and paint party instructor. Currently, she has an art show at Unity on the River Church in Amesbury, MA. Nicole lives and breathes art- it is her therapy. Whenever she is stressed, she paints or draws, and immediately she forgets her problems. Comics are great for expression and story-telling, and also for reflection! Retreaters will learn about the language of illustrated text, create your own avatar, and write a comic that can be used to spur dialogue. Retreaters will create a zine that will be used for sketches and notes, as well as a personal comic of your own design that captures a moment for further processing. You will also be able to apply these and similar lesson ideas in your own classrooms, regardless of subject taught. This workshop is fun and spirited, and allows retreaters to share experiences, and reflect in new ways. [/expand][URIS id=5886] Rachel Branham is a visual arts teacher at Marblehead High School, in Marblehead, MA. She holds a Masters degree from the Rhode Island School of Design, and a Bachelors of Art Education from the Ohio State University. 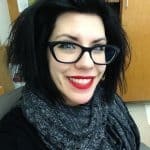 Ms. Branham has recently published her first graphic novel, “What’s So Great About Art, Anyway?” A Teacher’s Odyssey, from Teachers College Press, and shares her experiences and insights on comics as a tool for communication and reflection. This mini workshop will show you how to care for your most valuable teaching tool – your VOICE! Our profession puts a high demand on our voices. It is important to know how to care for it and use it in a way that won’t harm our vocal cords. 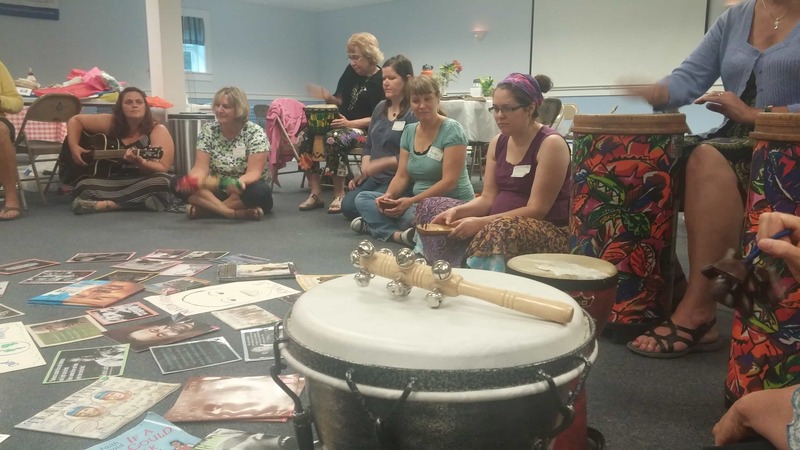 This session will approach overall vocal health and use for educators, giving retreaters the tools to be healthy speakers and singers all year-round. 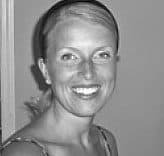 Johanna Kimball teaches Chorus at the Amesbury Middle School, and private voice at the Musical Suite in Newburyport, MA, where she shares her love of music and the human voice. She is especially passionate about Vocal Pedagogy and helping her students develop their own individual singing voices. Johanna has worked with both children and adults, beginners to advanced levels, and believes that everyone is inherently musical. This mini workshop will provide you with the knowledge and ideas to get your own Makerspace started and off and running! Early in the retreat, we will explore three fun STEAM projects that will then be available to play around with in a “Makerspace” area throughout the retreat. Retreaters will learn how to create an Art Bot, Stixplosions and Sharpie Tie Dye! [URIS id=5890] Elizabeth Peterson has devoted her life to education and to reaching out to other teachers who want to remain inspired. 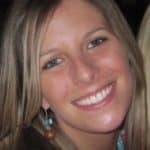 An arts integration specialist, Mrs. Peterson teaches fourth grade in Amesbury, Massachusetts and is the host of www.theinspiredclassroom.com. She holds an M.Ed. in Education, “Arts and Learning” and a C.A.G.S. degree with a focus in “Arts, Leadership and Learning.” Elizabeth is the author of Inspired by Listening, a teacher resource book that includes a method of music integration she has developed and implemented into her own teaching, and Studio Days, a resource filled with information and lesson plans for bringing creativity into the classroom. She teaches workshops and courses on the integration of the arts into the curriculum and is the host of the annual Summer Teacher Art Retreat Elizabeth believes there is a love of active, integrated learning in all children and from their enthusiasm, teachers can shape great opportunities to learn. The Teacher Art Retreat is a place where you can relax, create and discover with other like-minded educators. This is what sets the retreat apart from other professional development you’ve had. Our goal is for you to interact with a variety of art forms so that you can get ideas to bring back to your teaching. The workshops are hands-on and accompanied by discussions of how to apply your new knowledge and skills to what you do with students every day. Start each day with coffee, muffins and an energizing warm-up. Each day you will have studio time to work on your focus project. In addition, you will attend one of the other three workshops. Everyone will attend all workshops! No one will miss ANY of the fun! Lunch will be provided each day as well as some special treats (door prizes too)-just for YOU! 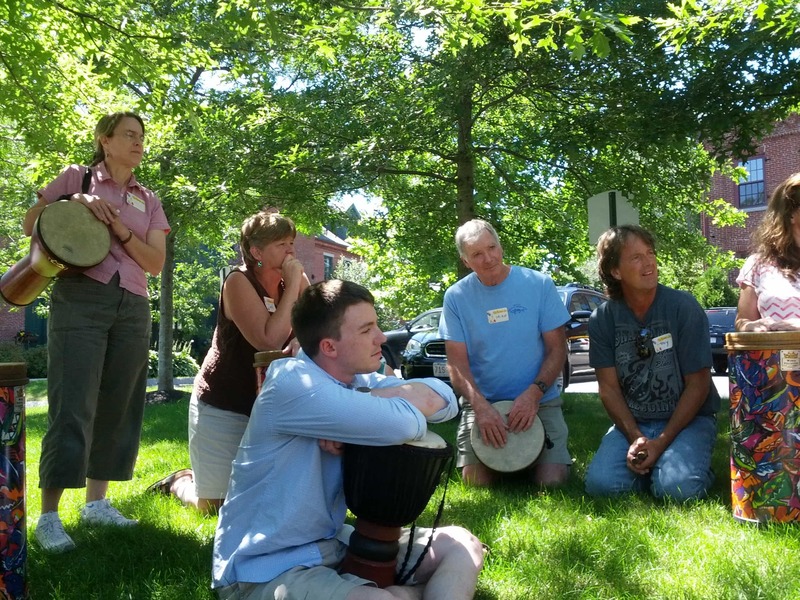 If you are an educator who believes in the arts, you should attend the Teacher Art Retreat! Our professional development is taken by pre K through high school teachers including those who teach special education, art, music, guidance, ELL, technology, ELA, science, and general ed, as well as school nurses, reading specialists, behorialists, speech therapists, those in before and after school care, day care teachers, home school teachers, long term substitutes, veterans and first year teachers. We’ve even had administrators in attendance! Time each day will be spent discussing how the things we learn apply to what you do with students every day. Part of the power of the arts is that they transcend subjects and age levels. I'm coming from far away. Where can I stay? discounted rate. Both will provide you with a great place to stay and have been wonderful about giving us a break in price. Lamie’s Inn is located on route 1 in downtown Hampton, NH and is attached to a local favorite restaurant and bar, The Old Salt. Please let them know you are reserving your room to attend the Teacher Art Retreat and you will receive 15% off the regular room rate. Call (603) 926-0330 to make your reservations and go to the Lamie’s Inn website for more information. If you have any questions or run into any trouble, please send Elizabeth an email. It is so fun to meet people from various places who share an appreciation in arts in education! If you are coming from far away, you will certainly enjoy your time in and around Hampton, NH. It has a nice downtown with many restaurants and shops to explore. Not to mention, you will be a very short drive to the ocean! In addition, Hampton is 60 minutes to Boston, Massachusetts and less than 15 minutes to Portsmouth, New Hampshire. These are both wonderful and exciting cities to visit while you are here! Depending on the interest, we will be organizing other fun activities for after the retreat. (These are not included in the registration for the retreat and are optional activities.) 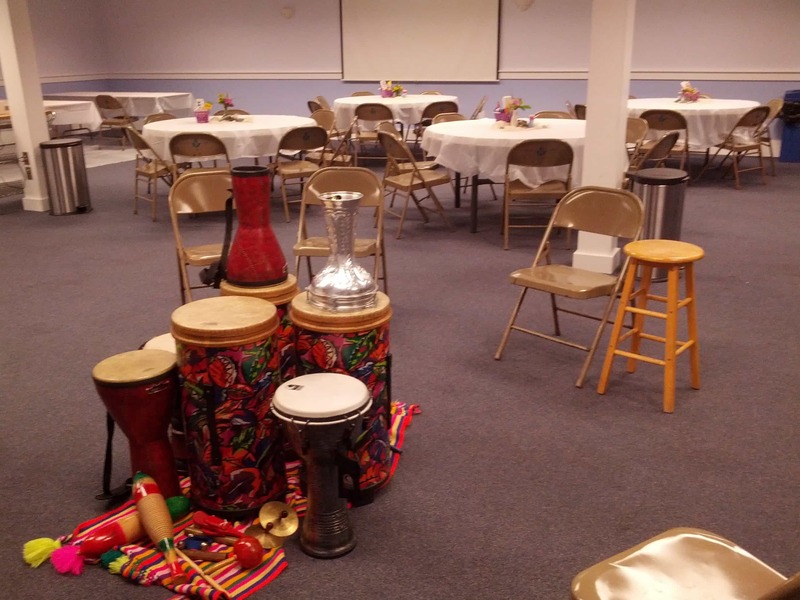 Think dinner on Hampton Beach, drumming circles in Boston, dancing to live music in Lowell… More details will be forthcoming on this. If you are interested, but still want to know more, be sure to email me, Elizabeth and I will personally make sure you are kept up to date on any new plans surrounding the retreat. Of course, if you register now, I will automatically email you whenever something new is live! Don’t forget to join our Facebook Teacher Art Retreaters group! If you don’t want to register through PayPal, download this flyer and registration form and send a check to The Inspired Classroom, PO Box 303, Hampton Falls, NH 03844. Come to the retreat with a friend! Tell your colleagues about this great event and get special pricing! Start asking around now, so you won’t miss out! Listening to instructions before it’s time to play. Keep in mind, this retreat is not just about the workshops, it’s about building a community of like-minded passionate teachers. We will be busy with other activities too: movement, brain gym, collaborative art work, discussions, drumming. When you register, you will get more info on all this other fun stuff! For general information about the retreats, visit the Teacher Art Retreats page. 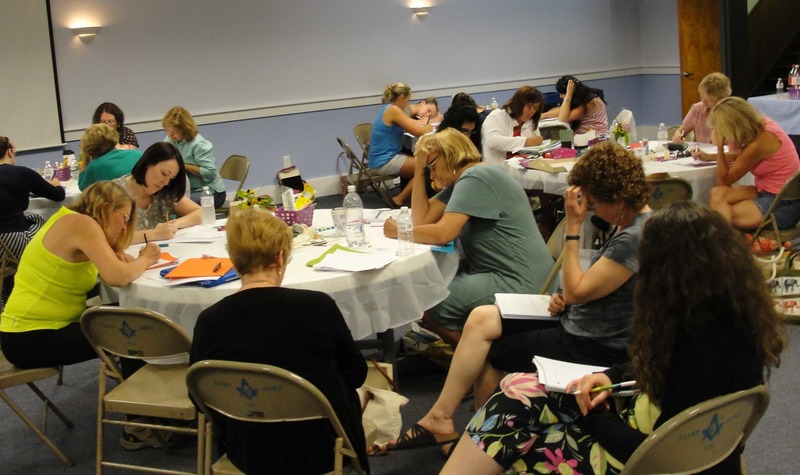 Reflections on the Teacher Art Retreat from a Repeater Retreater Here is a wonderful reflection from Mary Krikorian. 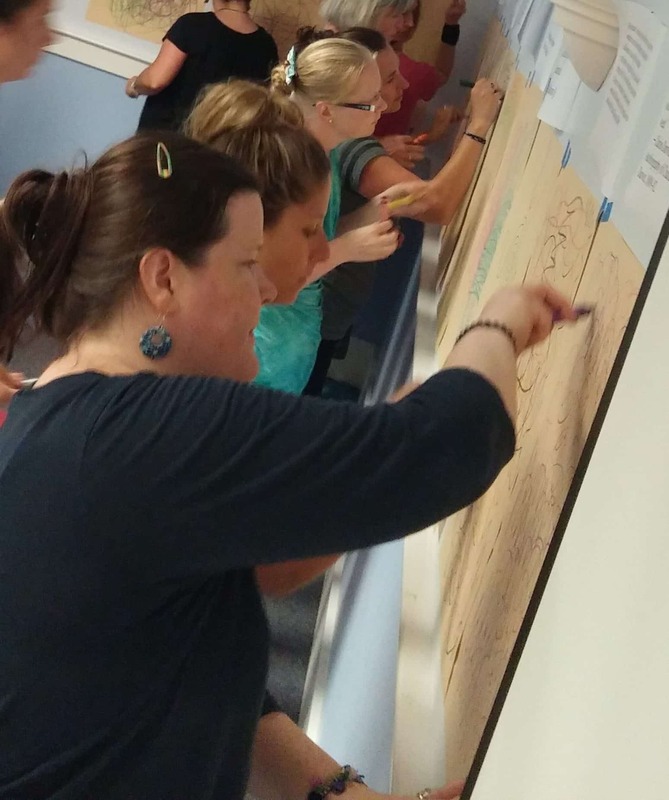 She has attended every Teacher Art Retreat and in this piece, she captures the essence of what this type of professional development is all about. Thanks, Mary! 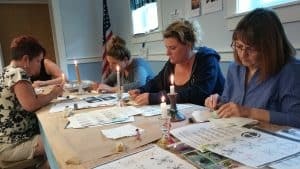 For ALL the posts about our TEACHER ART RETREAT go to this link. We love our spot in Hampton, NH. It’s close to major highways and just over the boarder from MA. It’s also bright, quiet and ACed. It’s a wonderful place to retreat! There is plenty of space for eating and creating. There is a large yard, a patio gathering area and a great view of the marsh. (Not too mention a great kitchen and sound system!) This is a lovely site for our Retreat! Paid registrants may send a substitute. refunded when you notify The Inspired Classroom at least 48 hours in advance. Notifications after this time will be refunded less a $25 service fee.